I woke up in a dark space on my two feet as if I had fallen asleep standing up. I tried to collect my memories and replay the events of that day but I can’t seem to figure out how I ended up here. Before I could try to make sense of things, the crackling sound of a static pierced the silent darkness. I turned around and found three screens radiating with light. I held my hand over my brows to help my eyes adjust to the brightness. Slowly, the flickers of the light from the screens helped me see what’s around them. The three screens were small TV screens, each propped up on a nightstand that came up to my thighs. These were old-school TVs with antennas and dials on the side that you only see in retro movies. I walked closer to the TV and the static sound was now replaced by mumbles of distant conversations increasing in volume. I’m shocked my usual cowardice is trumped by my curiosity to find out what’s on the TVs so I bent down to watch the first one. It showed a little dark-haired girl with her back against the screen. She’s holding a book larger than her head with both hands, arms resting on a table. She looks like she’s reading but she’s just learning the letter “A”, its shape, its sound, and associating the two together. The “A” on her book is purple with confetti-like design and scalloped sides. She’s mimicking an adult in the background pronouncing “A” over and over again. Wait. I remember this memory… only it’s not a memory. I know for sure I am the little girl, I remember learning that this shape made of two lines leaning on each other’s tips and connected with a a horizontal belt makes the sound “ei”. I also came to a realization that this is… real-time. It’s me, it’s happening right now, but somewhere else where I’m much much younger. Maybe the other TVs have other versions of me. I checked TV #2 and this time I see myself chilling with my friends in my living room. The colour tone is a bit off — it’s warmer with a yellow tint, like a flashback scene in a movie. It’s a retro-futuristic utopia-like world where life’s always good – not just for the Natasha here, but for everyone. Life is fulfilling and is always filled with jokes and laughters shared among friends who are like family. Natasha laughs such a genuine laugh that fills me with jealousy. She’s so happy that warmth creeps across her chest. I felt this warmth, I felt her happiness, I felt this contentment and bliss I’ve never felt before. I knew this too was me, but somewhere far away. It’s a memory I’ve never lived before but I know it’s mine. Out of the blue a static interrupts the TV and the scene repeats itself. I kept watching to find out what happens next only to be startled by another static. It dawned on me that this Natasha is stuck in an endless loop and is oblivious to the rest of life. The happiness I felt for her became a concern and an urge to tell her that life is so much more than just laughing with your friends in your living room. There’s an entire life to experience, there’s the not-so-happy-times that just make the happy moments all the more precious. I wanted to talk to her and tell her she’s in a meaningless loop! She would want to know, right? But why? A voice in my head asked. Why would you want to introduce her to all the sadness and disappointment the world drugs itself to forget? Why would you want to interrupt someone’s blissful life to let them know about the horrible things and people in life? Would you want someone to interrupt your blissful life? If I’m not happy in this life, at least I’m happy in another life, even if that means only knowing and experiencing a hundredth of what I know now. I decided to keep Natasha in her loop – she’s not the one who needs saving. I still have another TV to watch. Maybe it’s another Natasha. 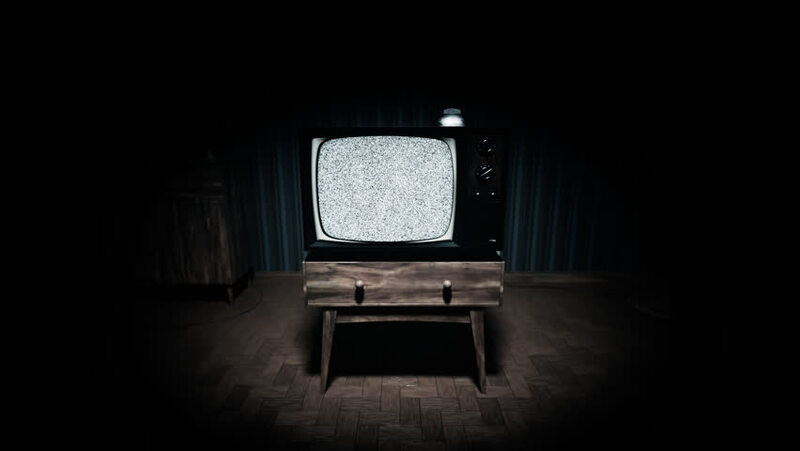 Before my gaze darted to the final TV, all the brightness escaped my vision like someone had unplugged the TVs abruptly. Suddenly I’m back in the dark space where I first woke up. I’m lost, without my senses and completely surrounded in darkness. But after a split second, I woke up in my bed, sunlight seeping through the blinds. I looked around and realized… I never got to see the third TV. Could this reality be what’s on that final TV? Alcatraz is hands down one of my most favourite parts of the trip. The history behind the state penitentiary is impressive and extensive. The fact that it jailed a lot of intriguing personalities piqued my interest even more. After systemically lining up at the docks, we boarded the ferry and arrived at the gloomy Alcatraz – also a bird sanctuary – a short 10 minutes later. Alcatraz is a world-famous prison that served a number of purposes before it became a National Historic Landmark. In brief, Alcatraz, or “The Rock” was first used as a military reserve in the mid 1800. Due to its strategic position, it was heavily fortified to serve as a fortress. When the American Civil War broke in 1861, Alcatraz Island was used to defend San Francisco Bay from any imminent threats. Around this time, prisoners of war (POW) were commanded to construct cell houses on the military base for them to occupy. Fast forward about a century later, Alcatraz was becoming too expensive for the US military to maintain. It was handed over to the Department of Justice, who then turned it into a federal prison – where all the exciting things happened… so exciting you may have seen movies or books about it. – are high profile inmates e.g. Al Capone, George “Machine Gun” Kelly, Mickey Cohen, etc. While there are a lot that can be written about Alcatraz in this blog post, I’ll focus on what mesmerized me the most. In 29 years operating as a federal penitentiary, Alcatraz proved to be ‘escape proof’. Thirty-six inmates were involved in 14 escape attempts, with five listed as “missing and presumed drowned”. Our very knowledgeable tour guide shared the following stories in great detail – more than what you can expect from reading them in the visitor halls. The deadliest escape attempt was initiated by a bank robber by the name of Bernard Paul Coy and five accomplices. While the Alcatraz guards followed a strict routine to allow for a small chance of error, their schedule and habits became very easily predictable. After studying the guards for months, Coy commenced his violent escape attempt. He smeared axle grease all over his body and slowly climbed up the gun gallery (an overhead alley where armed guards would monitor the prisoner). Coy then used a toilet fixture he had acquired to spread a set of bars up to 1 width of 10 inches and squeezed himself through the opening and crouched to hide from the officer on duty. When the timing was right, his accomplices distracted the guard, allowing Coy to jump on the officer. Now armed with guns and equipped with keys, Coy and his accomplices held nine guards hostage and locked them in cells. The plan started to fail when Coy struggled to find the keys that led to the recreational area. The courageous guard named Miller was able to hide the critical key in the cell where he was locked. He guarded the key to his death. When Coy and his team got their hands on the right key, the door still wouldn’t open. Alcatraz doors were engineered to automatically shut down in unison when an incorrect key was entered into any given door. At this point, the escapees started to realize that their plans were not going to grant them the freedom they so desperately yearned for. The Alcatraz sirene started to wail, indicating distress in the prison. SF Coast Guards and Marines came to the guards’ aid in taking over the prison again. 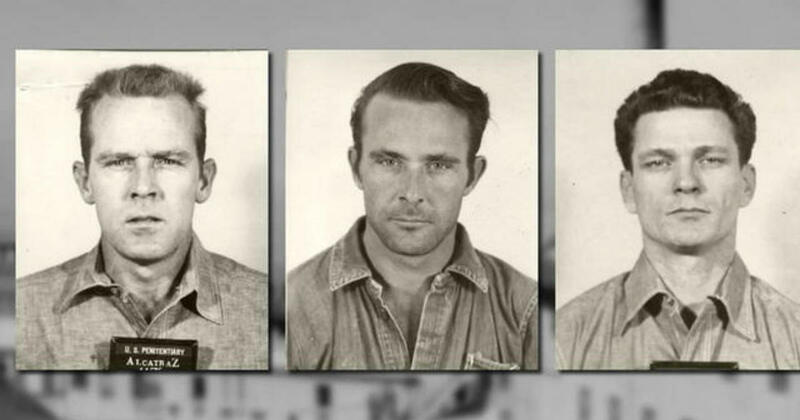 In June of 1962, inmates Clarence Anglin, John Anglin, and Frank Morris thoughtfully laid out an escape plan, which took 6 months to execute. The inmates discovered that the concrete walls of their cells are softening due to the climate and water absorption. They dug through the air ventilation with the ends of their toothbrushes (and later spoons) and used a mixture of soap and paint to cover the parts that they dug when guards are nearby. When the holes were big enough, they climbed through an unused utility corridor to the roof, and constructed inflatable rafts using reusable materials, including rain coats. In their absence, they placed dummy heads on their beds. They used soap wax and hair from the barbershop floor to ensure the heads look realistic. When the three were ready, they climbed through the ventilation shaft, to the roof, and floated off the San Francisco Bay on their makeshift raft. Their fates are still unknown, but there have been speculations that the Anglin brothers arrived in South America. The extended Anglin family claimed that a family friend in Brazil has sent them two pictures that resemble the two brothers. That’s not even the best part. My tour guide’s son is in college, dating a girl named Sarah Anglin. Sarah’s father is determined to trace their ancestry line back to the Anglin brothers. He’s collected archives and continues to search for more clues to prove his theory that they are the descendants of the Anglin brothers. When my tour guide met his son’s girlfriend, he could see the resemblance with one of the Anglin brothers. I recommend watching the movie Escape from Alcatraz, starring Clint Eastwood, to see a thrilling screen adaptation of the escape attempt. Last but not least, four-time convict John K. Giles, who had previously escaped a prison in Oregon, spent close to 9 years devising his escape strategy. While working in the laundry detail, he collected a complete set of a US Army Technical Sergeant’s uniform down to the three-piece suit, a bag of change, and anything else he could find that would make his costume more believable. 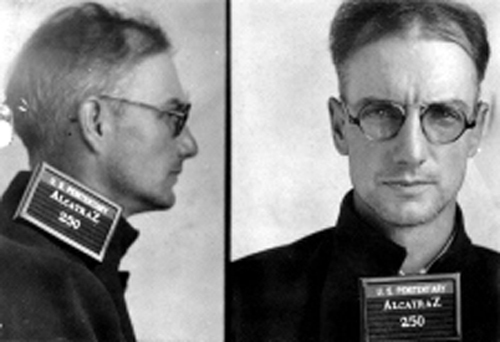 Over the years leading to his escape attempt, he studied the schedules of the boats and how US ferries would pull into the Alcatraz Wharf to deliver goods, army, laundry to be washed at the prison, etc. One day in July of 1945, a US army ferry docked at the Alcatraz Wharf. The war was ending and eventually, the ferries woulds top coming in. Giles knew it was now or never. He donned on the uniform and jumped on the ferry. Unfortunately for Giles, the ferry took a slightly different route than what he had observed over the years – it made a pitstop at the neighbouring Angel Island instead of making a direct trip to San Francisco Bay. The guards on duty at the Alcatraz Wharf quickly figured out he was missing an inmate during the head count. He hopped on a speedboat and greeted Army Technical Sergeant Giles when he disembarked from the ferry. John K. Giles was later known to his fellow in mates as Wrong Way Giles. After visiting Alcatraz, I would definitely recommend anyone to spare a day to experience the state penitentiary. I recommend to go on at least one tour that is offered on the day you are visiting and get the audio guide from the shower room (see above). Make sure to book your tickets far in advance because Alcatraz is a famous tourist destination. Tickets aren’t available on the spot. This year, I’ve had some life-changing trips. I went to Las Vegas for the first time to attend my first EDC ever. While all my friends I went with went back to Toronto, I flew to Indonesia to see my family. This homecoming trip was quite special as I don’t know when I’ll be coming home next. About two months after I came back to Canada, I went on another trip, this time with Kyle. I’ve wanted to do a road trip for a long time, but since we only had five days to spend, we looked for destinations where neither of us has been to, that is not too far, but still outside of Canada. Long story short, we decided on Los Angeles and San Francisco. We spent about two days in SF. After skimming through forums and travel sites, we got the impression that driving is not the best option. I’m also against uber-ing, lyft-ing or cabbing everywhere. So we decided to get a hotel room at a great location and do a hop on hop off bus tour to get around the city. Thankfully, we got a great deal at the Marriott Fisherman’s Wharf and the tourist bus stop was a 2-minute walk away! We paid around USD $96 for two 24-hour tickets and hurried up to the top to find good seats. My first impression of the city was that it must be brimming with tourists… because it’s so pretty and picturesque. It has that effortless old-world charm that’s not in a rush to “grow up” and be modern or turn into glass-clad skyscrapers. The iconic trams are still transporting people up and down the hilly roads, while the Victorian houses are well preserved. Our bus route also included Haight and Ashbury, a neighbourhood in San Francisco known to be the birthplace of the hippie culture. It was named after Henry Haight, an exchange banker, and Munroe Ashbury, a member of the San Francisco Board of Supervisors in the 1800s. Both were involved in the early planning of the area and the Golden Gate Park. When it was time for us to refuel, we jumped off the bus at Union Square and walked a few blocks south west to an Asian restaurant that my friend recommended to me. During the 15-minute walk to this restaurant, the air smelled foul. It was that kind of part of town. This better be worth it, I thought. We arrived at Hai Ky Mi Gia and I was consoled by the fact that the restaurant was bursting at its seams with patrons. We lined up for another 15 minutes and got a seat near the door. Thank heavens that the food delivered! 10/10 would recommend! I’ve been looking for this specific kind of dry noodle in Toronto, but I haven’t been able to. It’s one of the many things from home that I can’t find or cook. Once we were done eating, we avoided the road we passed and decided to explore the adjoining area a little bit. Before jumping on another bus, I snapped some shots for the gram. The highlight of the entire bus tour was – of course – the Golden Gate Bridge! It’s a majestic bridge that did not disappoint. Nor did the weather. I was worried about the fog because it was increasingly reducing visibility our entire way there. The San Franciscan wind prevailed and blew the fog away and revealed the Golden Gate Bridge! As you can see below, the sky was clear and blue. While there were a lot of other tourists taking picture of the bridge, it is fairly easy to get a shot of yourself without anyone in it – there are a lot of elevated spots to stand. Another highlight of the trip was visiting the largest Chinatown outside Asia and the oldest in North America. Below is the iconic Dragon’s Gate that marks the official entrance of the district. Aside from the usual souvenir shops, dim sum places, and other Asian restaurants, there were temples inside as well as dungy bars and lounges. For dinner, we went back to our hotel’s area and decided to get seafood cocktails and some fried bites from a nearby pier. We went back to our room and packed our bags in preparation for our check out in the morning. We had a red-eye flight the next day and we would spend the day at the infamous Alcatraz Prison … but that is another post just because of how much exciting history the state penitentiary has!